With an increasing number of speed cameras across the country, speeding has fast become one of the main types of motoring offence. As such, our expert solicitors are highly experienced in dealing with speeding offences and provide clear, easy-to-understand legal advice at low sensible fees. If you have been charged with a speeding offence, give us a call on 01536 276300 to find out your rights and receive a quote. Please contact us about your speeding offence on 01536 276300 or use our online enquiry form. Most people deal with speeding matters on their own and feel confident to do so unless their license is at risk. A disqualification, however short, can be disastrous in terms of the practical complications of working around it, but the long-lasting effects of that ban on your insurance and driving record can also cause significant problems. As such, it is important to take straight forward, simple legal advice from us at an early stage. The other main issue is where, by committing a new speeding offence, you have now accrued 12 or more points on your licence. This is called “totting up” and means the Magistrates will ban you for 6 months unless you can show ‘exceptional hardship’ (where your hardship is more than what would normally be suffered as a result of losing your licence). If you genuinely believed that you had not exceeded the speed limit on a certain road, it could transpire that the signposting was incorrect. Alternatively, the signposting may not have been provided to warn you otherwise. 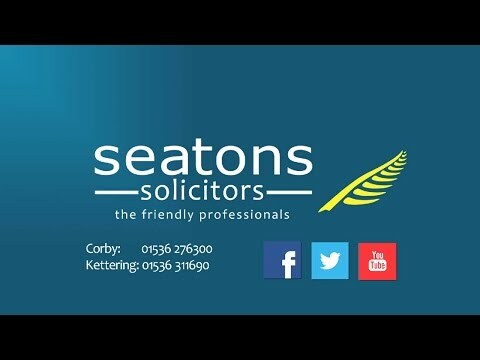 In these types of circumstances, Seatons can help provide bespoke legal advice on how best to defend your case. If you genuinely believed that you had not exceeded the speed limit on a certain road, another possible explanation could be that the device used to measure your speed was faulty. Alternatively, the device may have been incorrectly operated by the police officer. In these circumstances, our expert solicitors can investigate your case and make all the necessary enquiries to challenge any procedural inaccuracies. It can be possible to argue a defence of special reasons in which exceptional circumstances forced you to speed. Examples include a defect with the vehicle, or travelling at an excess speed in a emergency situation. In these situations, it is highly recommended to seek legal assistance first so that you can be advised of your rights and legal position. If by pleading guilty to speeding you will have more than 12 points on your license you will be facing a 6 month disqualification from driving. An Exceptional Hardship argument is the only way to avoid this ban. Call us now on 0800 3 10 11 12! When a requirement for the driver’s details is made, the registered keeper has a duty to provide the driver’s details or provide any information which may lead to the identification of the driver within 28 days of receiving the request. You will then be contacted providing you with full details of the offence and it is then up to you to say whether you are guilty or not. Depending on the type offence and the state of your driving license (if it is a driving offence) will depend on whether you will be offered a fixed penalty notice, a Speed Awareness Course or whether you will have to attend court. If you were not the driver and do not know who was driving…. You should return the form with a covering letter explaining the reason why you are unable to identify the driver. If there are many possible drivers you should name these drivers but try to narrow down the possibilities. Depending on the view the Prosecuting Authority has on the information provided, you may still be Prosecuted and find yourself in a position whereby you have to defend yourself at court and show that you acted with reasonable diligence to try and find out who was driving. If you do not know who was driving at the time you will need to prove to the court that you used all reasonable diligence to try to establish who was driving at the time. If you did not receive the notice you will need to convince the Magistrates of this. A WARNING If you provide any information under s 172 to the Police that is false you could be Prosecuted for attempting to pervert or perverting the course of justice which is a very serious offence for which you can be imprisoned.